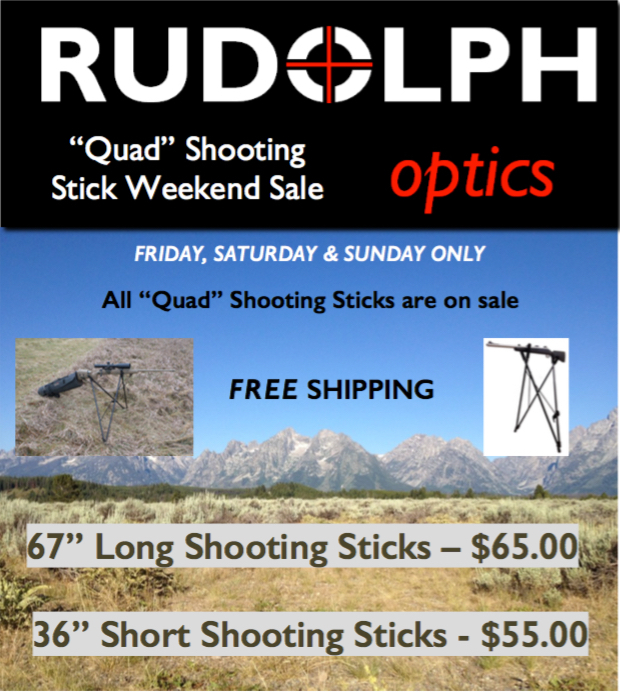 We are offering our shooting sticks at a crazy discount this weekend only today, saturday and sunday. All you have to do is visit Rudolph Optics | Riflescopes, Shooting Sticks Binoculars, Rangefinders, & Accessories and they are listed on sale, we are also going to pay shipping on these. Don't wait the sale ends Midnight Sunday! New Stick! and another new stick/ question. PLEASE READ!